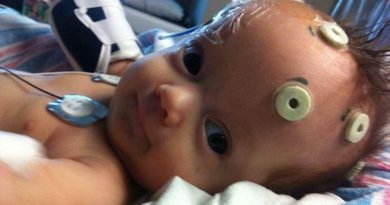 With his heart rate dropping rapidly, and after Jennifer suffering two miscarriages, doctors feared they would lose Joseph. 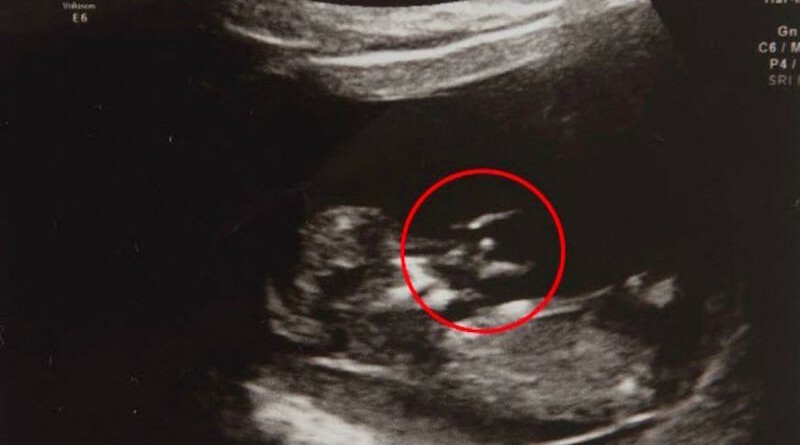 But Jennifer, 29, says she knew that Joseph would survive, after seeing what she claims is an angel sitting on his shouldering in his 16-week ultrasound. “I didn’t actually pick up on the angel at first because I was expecting something to be wrong with Joseph and that they’d tell me he wasn’t growing.” Jennifer said. Furthermore, months earlier, Jennifer’s mother-in-law, Debbie, visited a fortune teller, who told her an angel would look out for Joseph in a time of need. The medium also predicted that someone in Debbie’s family would contract breast cancer and later overcome the disease. 6-months after Joseph’s birth, Jennifer was diagnosed with breast cancer and had three tumors removed. She is now all-clear, however, the disease has left infertile after chemotherapy treatments. “I’m not very religious but I do believe in the afterlife and spirits and things like that.” Jennifer said. Joseph is now doing well, and so is his mommy. Jennifer and Joseph both had a brush with death, and they are just happy to be together. Joseph is now a toddler, and according to his mommy, has a personality larger than life!